Beltsville, MD– The Bethlehem University Foundation will soon have a new Director of Development. Mr. John L. Schlageter, Executive Director of the Bethlehem University Foundation, announced today the hiring of Dr. Maggie McCarty, D.Min., LHS, as the new Director of Development for the Foundation. Dr. McCarty assumes the position on 13 February 2017. In her new role, Dr. McCarty will coordinate the planning, organizing, and directing of Bethlehem University Foundation’s fundraising efforts. Dr. McCarty comes with over twenty nine years’ experience in fundraising, with four years working directly with the De La Salle Brothers as Executive Director of the Christian Brothers Conference. She served most recently as the Associate Director and Director of Development for the Catholic Climate Covenant in Washington, D.C.
A certified fundraising executive (CFRE) and author, having received her Doctorate in Ministry from the Graduate Theological Foundation in South Bend, as well as achieving her Masters of Arts in Theology in addition to numerous other certifications and degrees, Dr. McCarty brings a wealth of knowledge of the Catholic Church and its mission to her new role in support of the Bethlehem University Foundation. Created following the historic 1964 visit of Blessed Pope Paul VI to the Holy Land, Bethlehem University is a Vatican sponsored Catholic co-educational institution operated by the De La Salle Christian Brothers. The University’s mission is to provide quality higher education to the people of Palestine and to serve them in its role as a center for the advancement, sharing, and use of knowledge. The University emphasizes excellence in academic programs and the development of students as committed people prepared to assume leading positions in society. The University aspires to fostering shared values, moral principles, and dedication to serving the common good. As the only Catholic/Christian university in the Holy Land, Bethlehem University stands as one of the few hopes for maintaining a Christian presence in the Holy Land. The Bethlehem University Foundation is the 501 (C) (3) not-for-profit organization entrusted with the sole mission of supporting and promoting Bethlehem University in the United States and Canada. A gift to the Bethlehem University Foundation directly benefits the work of Bethlehem University. The Foundation is incorporated in the State of New Jersey and is headquartered in Beltsville, Maryland. 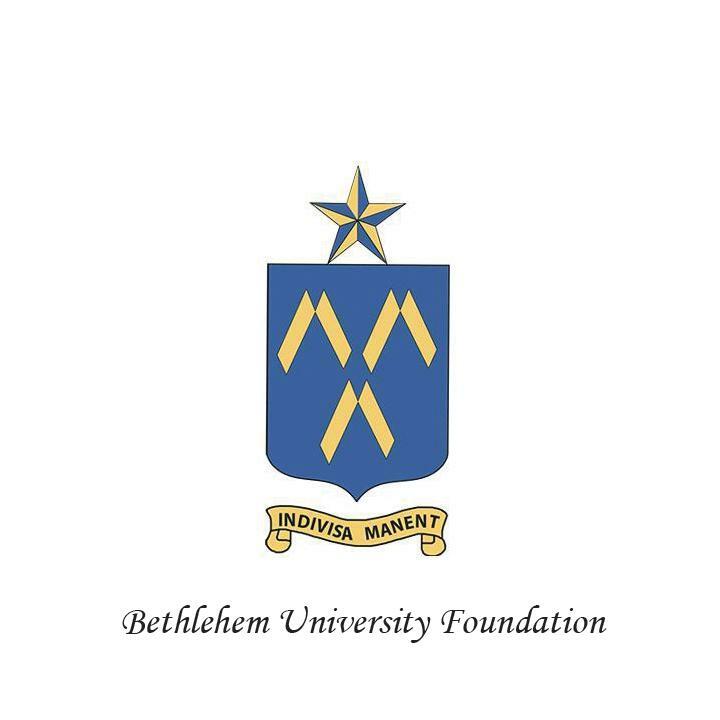 The Foundation has an independent Board of Directors and has among its members three ex-officio directors: the Chair of the Board of Regents, the Vice Chancellor of Bethlehem University, and the Vice President for Advancement of Bethlehem University.